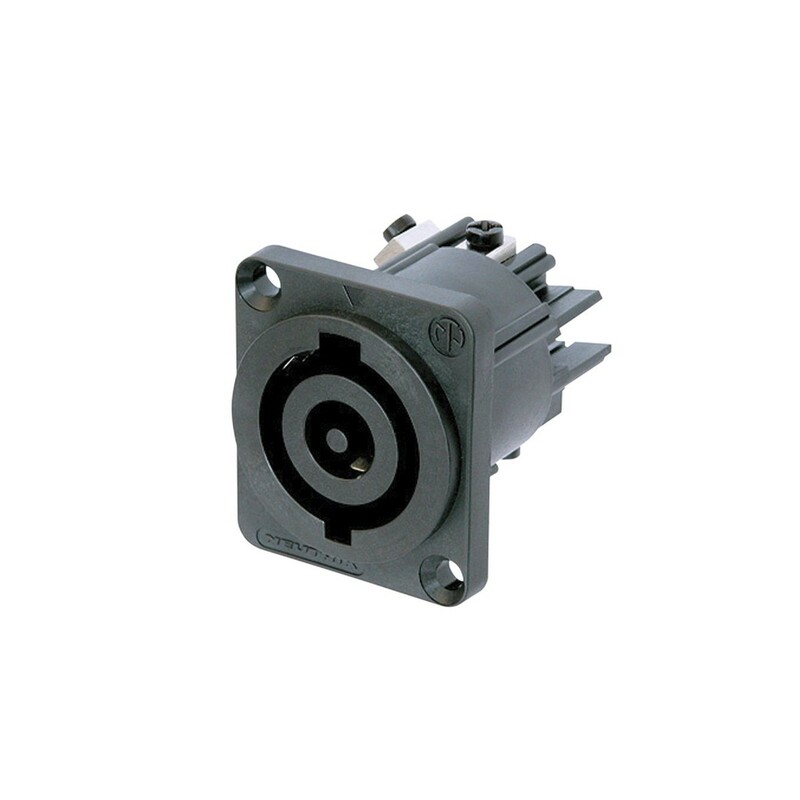 The Neutrik NAC3MP-HC is a 250Vac, 32A rated PowerCON Chassis Connector designed for use as a power-in socket. The NAC3MP-HC utilises screw-type wiring terminals that are suitable for wires between 2.5 and 6mm squared, whilst the premating contact design ensures protective earthing. The quick and intuitive locking system prevents unintentional disengagement. This reliable PowerCON chassis connector is perfectly suited to serve the needs of high-powerdistribution systems and supplies for pro-audio and lighting equipment and installations.